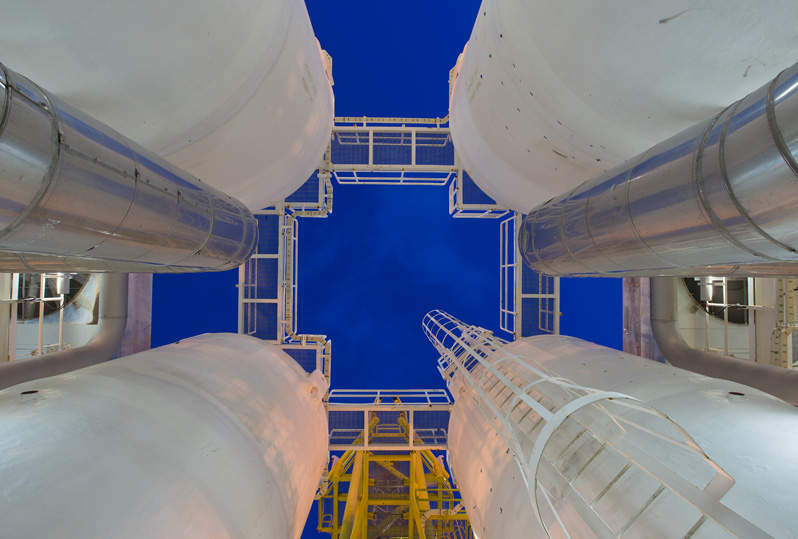 GlobalData’s latest report, H2 2018 Global Capacity and Capital Expenditure Outlook for Refineries – Asia and Africa Continue to Dominate Global Refinery Capex and Capacity Additions, indicates that, the global crude distillation unit (CDU) capacity is expected to register significant growth of 15.1% over the next four years, increasing from 101.7 million barrels per day (mmbd) in 2018 to 117.0mmbd by 2022. Among regions, Asia is expected to have the highest planned and announced CDU capacity of 5.4mmbd in 2022, followed by Africa and the Middle East with 3.2mmbd and 2.7mmbd, respectively. In terms of global capital expenditure (capex), Asia leads again with capex of $194.9bn proposed for planned and announced projects up to 2022. Africa and the Middle East follow with $126.6bn and $87.1bn, respectively. Among countries, China, Nigeria, and Kuwait are the top three countries globally with the most planned and announced CDU capacity additions by 2022. China is expected to add 3,120 thousand barrels per day (mbd) of CDU capacity, the highest among countries, through 10 new-build refineries, and is expected to have capex of $67.3bn by 2022. Nigeria plans to add 2,003mbd of CDU capacity through 29 refineries by 2022. 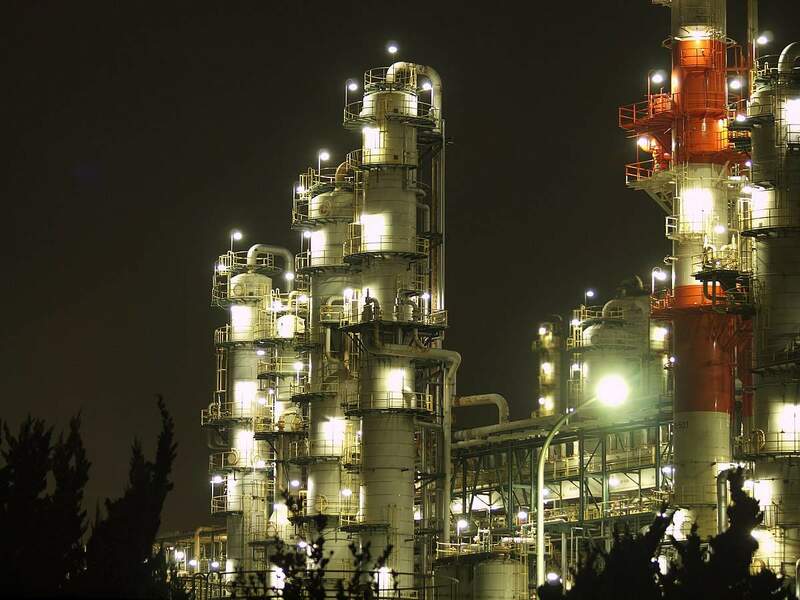 The country is expected to spend $57.6bn, the highest among countries, in the next four years on new-build refineries. Kuwait is expected to witness the addition of 615mbd of CDU capacity by 2022, and capex of $7.5bn is expected to be spent over the next four years. 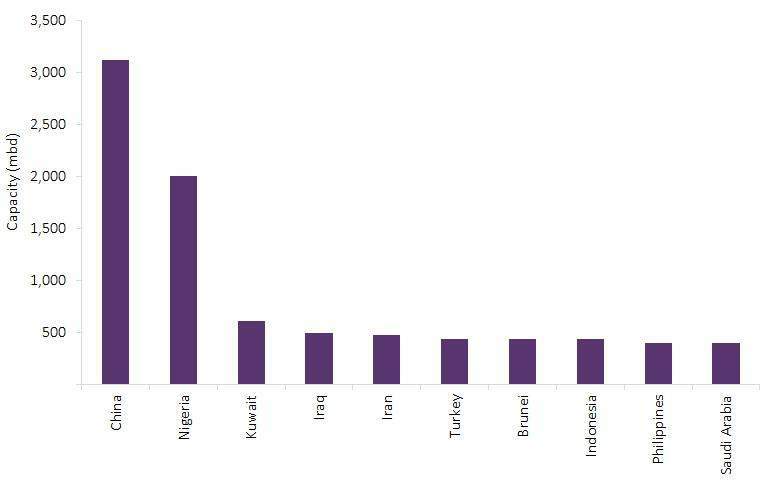 The Dayushan Island refinery in China, the Lagos I refinery in Nigeria, and the Al-Zour refinery in Kuwait are the top three upcoming refineries globally in terms of CDU capacity, by 2022. The Dayushan Island refinery will have capacity of 800mbd, followed by Lagos I with 650mbd and Al-Zour with 615mbd.